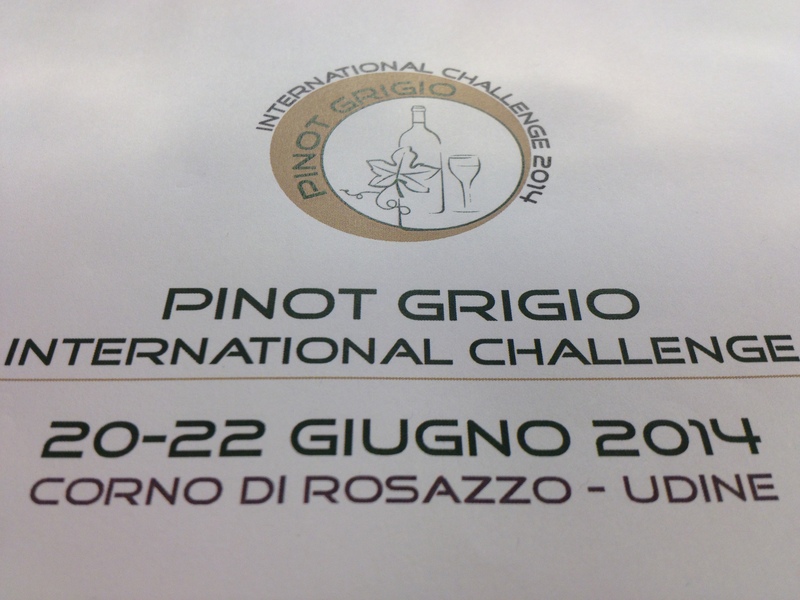 The 2014 International Pinot Grigio Challenge was held in Corno Di Rosazzo, near Udine in the Northeastern Italian region of Friuli Venezia Giulia in Italy. I like the food and the wines of the region and have always enjoyed its Pinot Grigio, so I was delighted to be invited to be one of the judges. Pinot Grigio is not a white grape as can be seen by looking at the bunches. The must of the grape is basically copper in color, of anthocyanin origin, that does not always persist through bottling. This has to do with the presence or lack of oxygen during fermentation. In the 1960’s Santa Margherita, thanks to the latest vinification techniques, was able to produce a white wine changing the history of the grape forever. 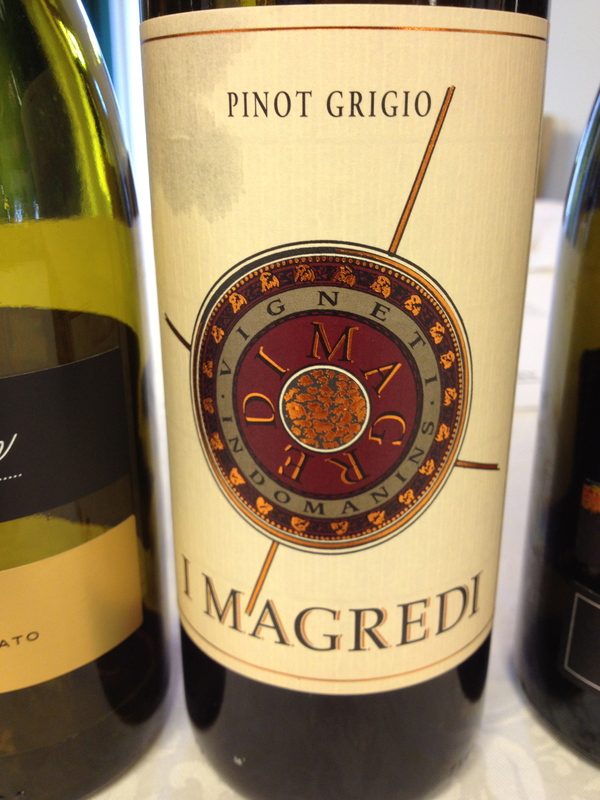 By the 1980’s Pinot Grigio from Italy became so popular that it is looked upon as an Italian grape in the eyes of the world. 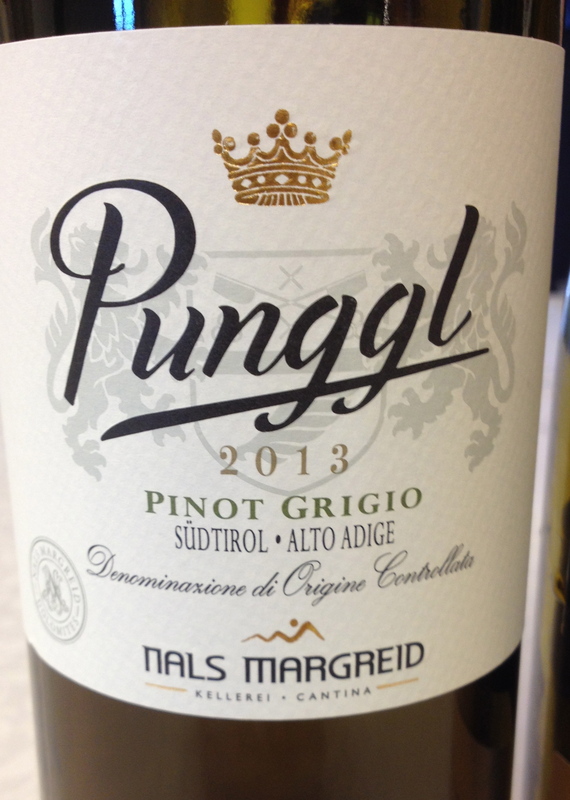 Today Pinot grigio enjoys world wine popularity and is the number one grape varietal imported into the USA with over a 40% market share. 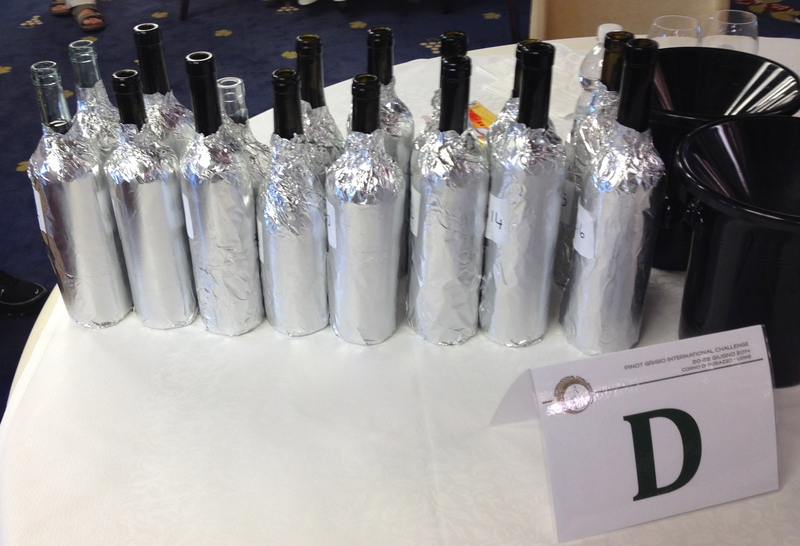 With Cernilli as the head, 24 judges from many different countries were to taste the wines blind and select the winners. There were 128 wines from all over the world. The judges were divided into groups of three. In the first round a score was given to each wine tasted. Next the 3 judges were presented with 2 wines, each judge stated their preference and one wine was eliminated. With 3 judges there could not be a tie. When this was completed there was a break for lunch. After lunch it was the same except there were 5 judges, again two wines were presented and one was eliminated. Cernilli called the judging a “winebledon” with direct challenges in couples, like a tennis match, evaluated by mixed and uneven juries. After this segment was over the votes were tallied and there were 8 finalists. The third day was the official announcement of the winners and the award ceremony. Listed below are the eight finalists in order. The first three wines were awarded medals. 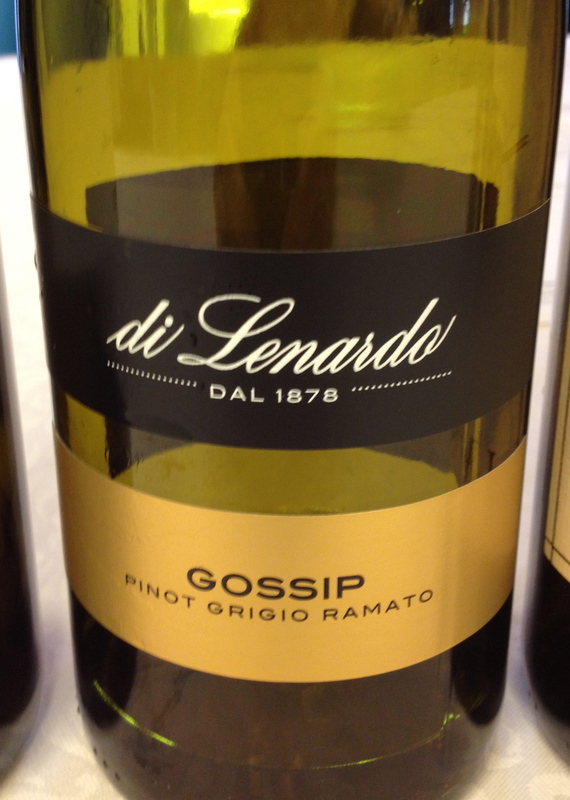 There was a special category for wines with residual sugar exceeding 9g/l. 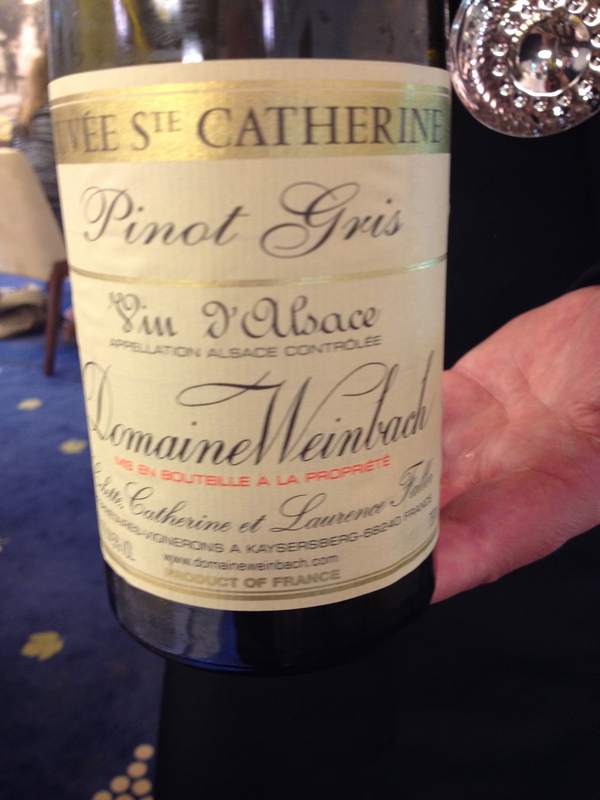 The winner was Pinot Gris AAC 2013 Cuvee Saine Chatherine Weinbach Faller France. Looking back over the wines that I chose all of them were from Friuli Venezia Giulia and the Alto Adige. 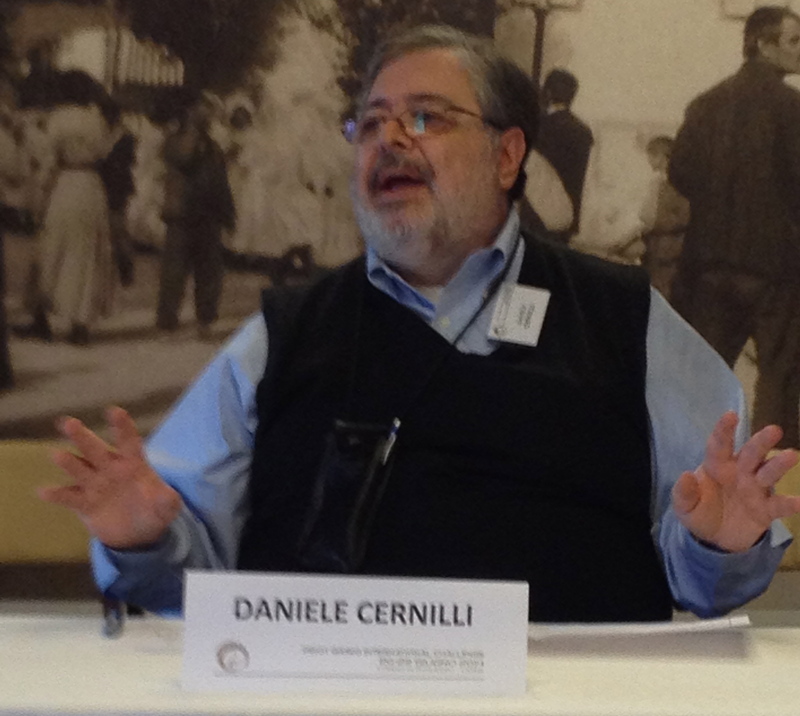 Daniele Cernilli confirmed that I voted for the number one rated wine.